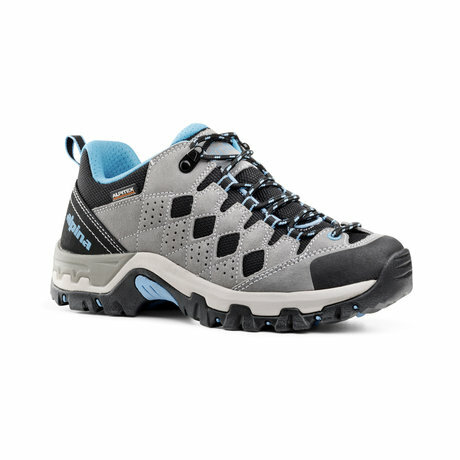 High level trekking shoes by Alpina. Ultra lightweight and stable trekking shoes, made from natural leather and nubuck, designed for long, medium and heavy trekking in difficult terrains. Heat resistant outsole Vibram, offers good traction and stability under severe winter conditions. Laces: Fit lacing system with steel lace stoppers and hooks.